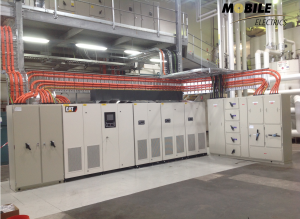 Mobile now offers installation, service and maintenance of interruptible power supply’s (UPS) and power generators. We can ensure reliable system operation through support services that predict, prevent and react to operational problems before they cause downtime. Mobile Automation offer solutions in power generation, plant auxiliaries involving engineering design and documentation, and project management. Our team covers the various electrical aspects of power generation. From diesel and gas generator sets to uninterruptible power supplies, automatic transfer switches and electrical switchgear, our experienced Engineering team can deliver the power systems and support you need. View our Case Study Here!